*Epic drone and industrial soundscapes from Eric Holm, new on Subtext, highly recommended to followers of Emptyset, Vainqueur and classic Chain Reaction* Subtext presents the debut album from the London based American electronic musician Eric Holm. The release brings together a collection of recordings produced on the arctic island of Andøya, an outpost 300 kilometers north of the arctic circle. Developed entirely from a single contact mic recording from a remote telegraph pole that connects the island's array of military listening stations, Holm crafts a detailed expansion of this solitary sonic moment, shaping the sound into an immersive meditation on man, nature and isolation. 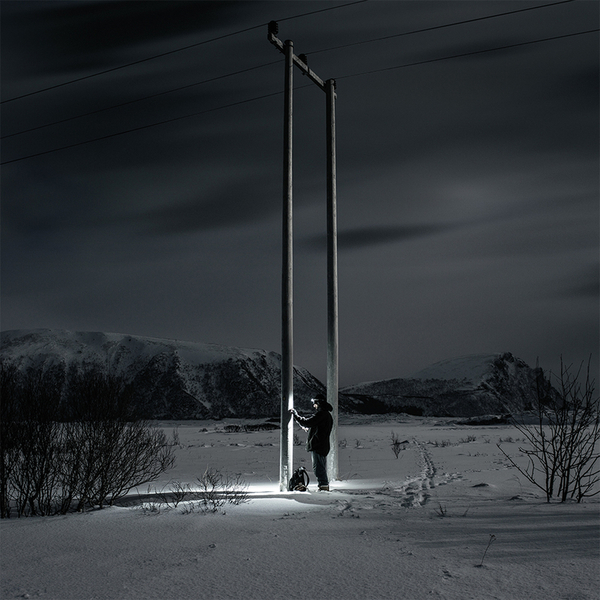 The telegraph pole connected to a seemingly endless network of traversing lines harnesses the dense ambiance of the landscape, both absorbing and distilling the essence of Andøya's harsh beatific character, and considers the position of microphone as witness within a vast cycle of physical transition and terrestrial flux. The release sonically frames Holm's adept technical crafting of his source material, bringing to mind both the glacial recordings of Chris Watson and the expansive mechanised textures of classic Chain Reaction."